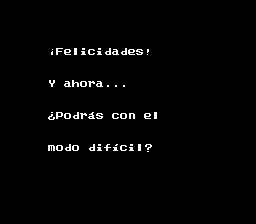 Kid Klown in Night Mayor World is an action platformer for the Nintendo Entertainment System. 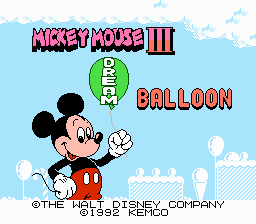 In Japan, it is originally a Mickey Mouse game called Mickey Mouse III: Yume Fuusen. 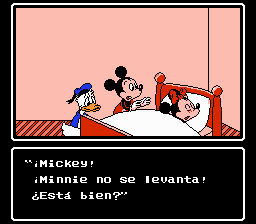 Full translation to spanish for “Mickey Mouse III: Yume Fuusen”, for the Nintendo Entertainment System. Adds special characters and lowercase. 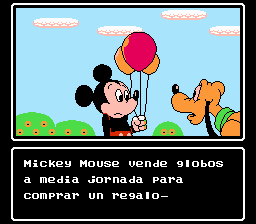 Based on the English translation by NikcDC.